Two water proof IP65 rated 10 cm (4") speakers with plastic basket and grill. 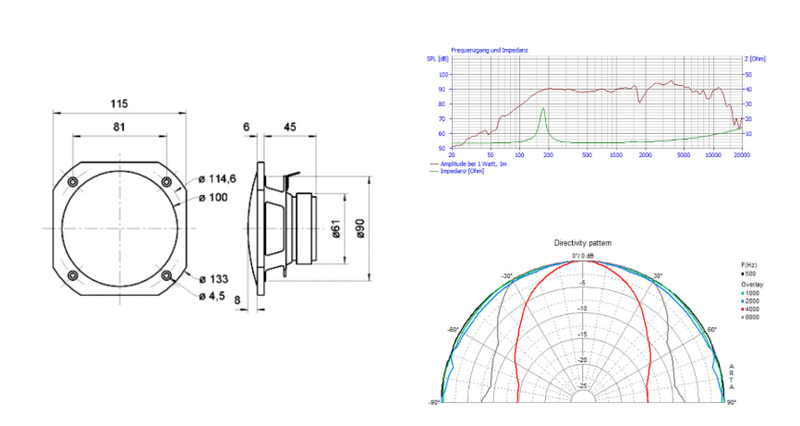 Balanced, high cone frequency response efficiency and good high to mid-range reproduction. Suitable for use in swimming pools, saunas, steam rooms. Bluetooth mini stereo audio for connecting to Bluetooth enabled devices.